To gain control over the BGP RIB tables, all the routes learnt by the router under scrutiny will be dropped by a route policy. 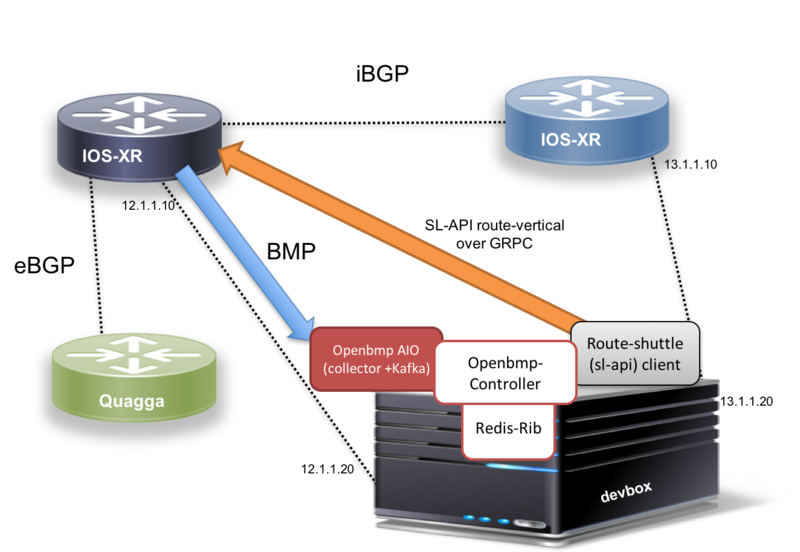 The Adj-in-Rib is learnt over BMP by the controller, is manipulated and then fed back over Service Layer APIs in IOS-XR (or equivalent RIB API in case of other vendors). Note: You will need atleast 15G free RAM to run the vagrant topology. Receiving objects: 100% (229/229), 5.03 MiB | 2.57 MiB/s, done. If you’re behind a proxy, set the proxy variables as shown, the vagrant provisioning scripts will use them appropriately. Now issue a vagrant up and go get a coffee :). This will take some time. 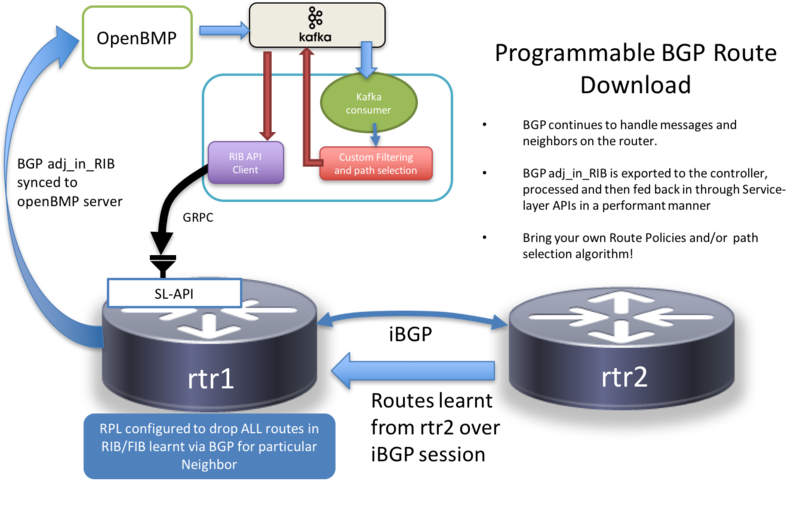 openbmp_aio : All-in-one docker contains that contains an openbmp collector, mysql dB and a Kafka Bus. redis: A redis database to temporarily store the RIB and neighbor information. controller: The controller contains code from this repository and performs route-policy and path-selection before pushing the local RIB back into the kafka bus. 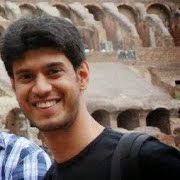 rshuttle: The route-shuttle container that contains code from route-shuttle library (https://github.com/akshshar/route-shuttle) withan an openbmp client to convert the incoming stream of routes from Redis or Kafka into a stream for the Service Layer API in IOS-XR. 43 packages can be updated. On the devbox, exec into the controller container and start the “openbmp controller”. You should see a stream of routes pouring in if you select the “verbose” (-v) knob. With this setup running, play around by changing routes being injected by rtr2 to see how the application routes follow the events. Further, try to vary routepolicy.py and pathselection.py files to see how easily the incoming routes can be manipulated based on BGP path attributes.